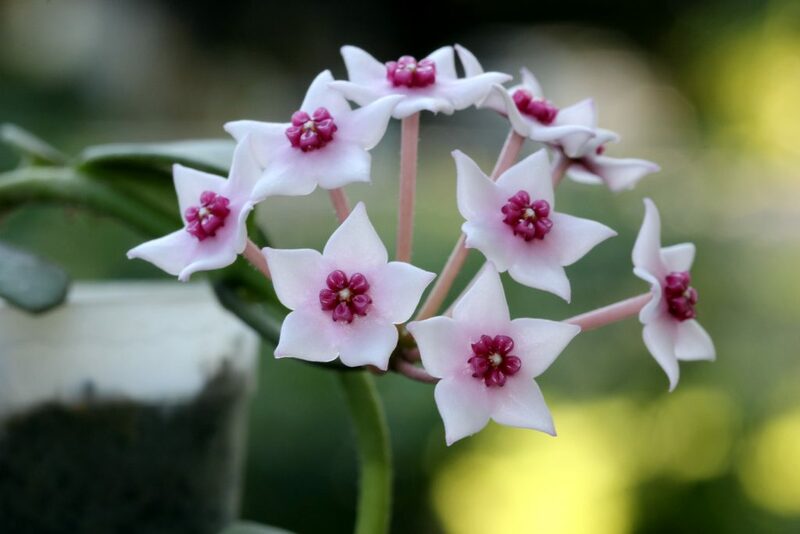 I bought a very small Hoya lithophytica cutting in the spring of 2013 not knowing anything about the plant other than I had never heard of it. It pretty much sat there for months without growing. Finally in a warm grow tent it started to slowly grow during the winter. Instead of growing up like most Hoyas, its stiff little vine grew straight down. I had to keep raising the pot so that it would not grow into the screen that cover the trays of water in my tents. Finally I gave up and put it into a hanging pot as it only wanted to grow straight down. Shortly there after, I must have over watered it as it quit growing. This entry was posted in Hoyas on September 22, 2016 by Doug.